Nicotine salt e-liquids, often referred to as nic salts, are designed to mimic the strength and sensation of the nicotine found in a traditional tobacco cigarette and are formed in the presence of acid rather than alkaline, as is the case with most standard e-liquids. Although they are primarily intended for use with pod systems, nic salts can in fact be used with any tank with a high resistance coil. Nic salts with a low nicotine strength can even be used in sub ohm devices, offering a combination of intense flavour and a deeply satisfying throat hit. What are the benefits of Nic Salts? There are many benefits to vaping nicotine salt e-liquids, including a satisfying, smooth delivery of nicotine, a pleasant throat hit and reduced impact on the overall flavour of the e-liquid. 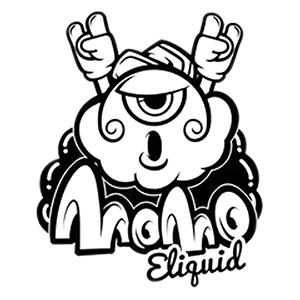 Perhaps most appealing is their ability to deliver nicotine to the blood stream far more quickly than standard nicotine-containing e-liquids, making for an immediately satisfying vape which is particularly appealing to heavy smokers who are looking for an effective cessation aid. Because nic salts are absorbed into the bloodstream so quickly and easily, you should notice the ‘rush’ of nicotine far more immediately than with standard e-liquids – even those with a high nicotine content. This provides an immediate feeling of satisfaction, and offers effective, long-lasting relief from cravings. In spite of their high nicotine content, nic salts do not feel harsh on the throat in the manner that standard e-liquids with a high nicotine content do. This allows you to enjoy a whole spectrum of flavours including tobaccos, fruits and menthols without the flavour being overpowered or compromised by the harshness of the nicotine. It is important to remember that nic salt e-liquids are far stronger than standard e-liquids, and as such should not be vaped in the same way. With such a high delivery of nicotine it would be not be wise to vape these liquids continuously as you will run the risk of overloading the bloodstream with nicotine. This can lead to symptoms of illness including but not limited to nausea, dizziness, headaches and dehydration, so we advise that you vape nic salt liquids sparingly, or with the same regularity as you would normally smoke traditional tobacco cigarettes. 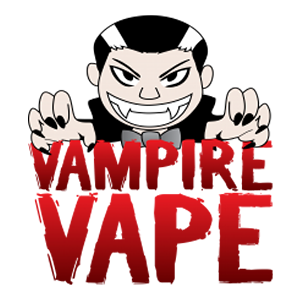 At Vapestore, we have a huge collection of delicious and deeply-satisfying nic salt e-liquids from some of the most popular brands in the world. The Momo and Element series offer a selection of sumptuous fruit and dessert-based flavours to add a bit of excitement to your quitting journey, whilst Vampire Vape’s universal crowd-pleasers Pinkman and Heisenberg can now be enjoyed in a sustaining nic salt formulation. 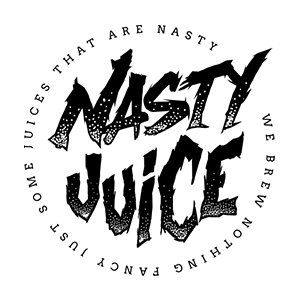 Nasty Juice have reached cult-like status with juices like Bad Blood, A$AP Grape, Cushman and Slow Blow, which are now available as nic salt options to keep cravings at bay in the most flavoursome way possible. 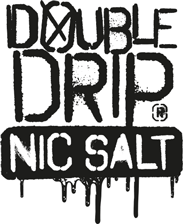 We’re particularly proud of our Double Drip nic salts collection, packed as it is with the kind of outrageous flavour you’ve come to know and love from the brand. These 10ml bottles are available in seven classic Double Drip flavours, including Raspberry Sherbet, with its drool-worthy blend of sweet, tarte raspberries and a generous sprinkling of fizzy rainbow sherbet. Cherry Bakewell is a delicious, decadent delight so uncannily similar to a real Cherry Bakewell cake you might just find yourself going back for seconds (and thirds, and fourths! ), while Super Berry Sherbet provides a delicate mix of seven perfectly-ripe red berries dusted in a glistening layer of sweet, sugary sherbet. Another sweet treat from the Double Drip nic salts collection is Mango Raspberry Ice Cream, which bottles the taste of juicy, ripe mango and tangy raspberries, blended together and smothered in a generous dollop of smooth vanilla ice cream. We’ve also got generous helpings of the fresh and fizzy Lemon Sherbet: a combination of lemon sorbet and lightly-dusted sugared sherbet. If you’re after something a with a bit more bite to keep your cravings at bay, Double Drip’s Menthol Mist should fit the bill perfectly with its deliriously-refreshing combination of sweet peppermint and cool, crisp menthol. Crystal Mist is another moreish and minty medley, featuring an ice-cold blend of tangy blue raspberry and outrageously ripe black cherries with a hint of cool, energising menthol. With all this choice ready and waiting to tantalise your taste buds to a new you, there’s never been a better time to kick those cigarettes for good with the help of a healthier, satisfying alternative which doesn’t compromise on flavour.